The Difficulties of Being On Prep! Everyone who knows me, knows that I love fitness. But those that know me on an even deeper, more intimate, level, know that I am very dedicated when I put my mind to it. I’m the guy who brings his meals in to my job at The Group Real Estate, microwaves them, and eats them while others eat their pizza. This is something that is needed, almost to the crazy side of it, for a prep diet. I am talking about preparing for a bodybuilding competition. That is where the word “prep” is coming for in this blog. A lot of people are unaware of how brutal a prep can be. One such instance that most people don’t understand on how it works, is in the film industry. Hugh Jackman, most notably known for playing Wolverine for the last 16 years in the X-men franchise, talks heavily about this. The pains and brutality of it all is not just known for bodybuilding. He is put on a high calorie “building” diet to get more muscle from role to role, then before filming starts, they start to do a “cut.” When this happens, certain foods are cut, certain type of workouts are changed drastically, and then on the day they decided to do a shirtless scene (which are planned out months in advance, so Hugh is able to cut properly), he goes through an entire few days in the exact manner a bodybuilder would, using tactics to dry out the water under his skin, so the skin sticks to the muscles, and every muscle is showing. This can be a very tough misconception for a lot of people. A lot of people believe that if they eat somewhat healthy and workout a lot that they can achieve the Hugh Jackman look. When in reality, Hugh only looks that way for, maybe, 3 days out of the year. This is the same for a bodybuilder. Bodybuilders do not look like what you see in magazines for the entire year. They only achieve those physiques by by a very controlled diet and a few “tricks” to help them look that way for their shows, photo shoots, etc. I am in the middle, nearing the end, of a bodybuilding prep diet. I will be stepping on stage for my very first bodybuilding competition ever, in three short weeks. I want to break down the pains of being on this prep. It is one of the more difficult things I have ever undertaken in my life. 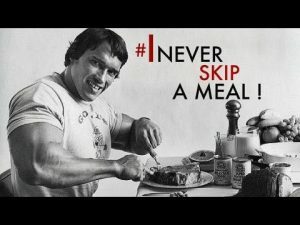 The meal timing, the amount of meals you need to consume to spike your metabolism, and all the foods and treats you have to say no to. This includes the 2 skittles your daughter hands you to try the “yummy new flavor.” Now that seems a bit extreme, but in achieving this look, the mental game is the number on part of it all. If you aren’t strong enough mentally to say no to 2 skittles, how will you react when 4 skittles are offered to you. The mental game is what helps bodybuilders achieve the look they achieve when they are on stage. As you go through a prep, you experience a wide array of emotions. You will be more tired than usual, due to the caloric deficit and the harder workouts. You will lose some of the muscle mass that you worked so hard to pack on. Then, on the flip side, you will start too look like an action hero, the comic book characters we grew up loving, and it will challenge your mind, knowing that it may be all gone in a short 6 weeks, as you build back to a healthy state. This is why I talk about the difficulties of it. There are so many different emotions felt during this prep time frame. It’s also easier for some and a lot harder for others. This all depends on how your body, and mind, react to such drastic changes. This last weekend I was at Comic Con in Salt Lake City. For two days of traveling, walking around, staying at a friends house, I had to pack a cooler full of all my food, pay for a different gym to go to for just two days, and pack clothes for the gym. This was all on top of trying to get to the Comic Con venue on time, see the people I wanted to see, and not be too over stimulated while walking around, due to being on a caloric deficit. This taxes hard on the mental state of someone. At one point, due to circumstance I had to eat a meal of talapia, rice and zucchini straight from the cooler. Cold fish and zucchini… not good. But knowing what it will do, and how it will benefit my mental state, and my body for the show, in the long run, I ate that entire meal cold. Cravings are a very special thing in our society. We have become a society where food is a lot more of a social deal than it is fueling our bodies. I have gone to countless barbecues, restaurants, and family outings where there are so many good things to eat all around me. It would be so easy for me to take a bite here and there, or to just have on meal (it’s just one meal, right?). 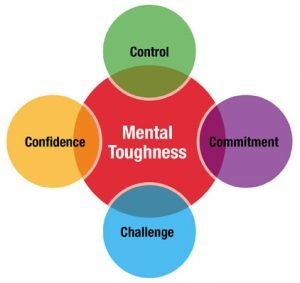 The mental win comes from saying no to those things, as you understand the full process. I’m not saying this is for everyone, or that everyone should go and get going on a prep diet. The reason for this blog is to tell you that it can be done. With the right amount of determination and mental state, you can achieve anything that you put your mind to. But just know that every now and again, you may have to eat some cold fish and zucchini during that mental game.